The building at Goldschmidtstraße 12 in Leipzig is the last remaining structurally preserved private address of the outstanding composer, conductor, and virtuoso Felix Mendelssohn Bartholdy (1809-1847). 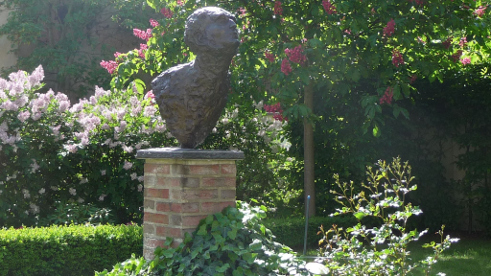 The late-Biedermeier residence, which the family moved into in 1845 and which was able to be reacquired in its original form as in the lifetime of the artist, has housed a museum in honor of the former occupant since November 1997. Here the interested visitor finds information on the life and work of Mendelssohn. 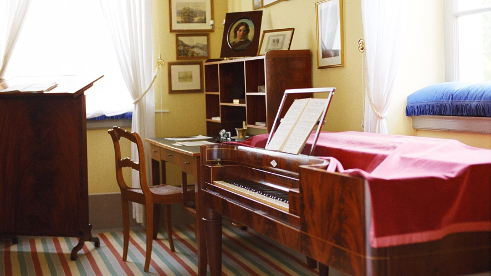 Letter and sheet music autographs, watercolors done by Mendelssohn, original furniture, the composer's study, the music salon – all that is also an eloquent testimonial to the epoch in which Mendelssohn lived. 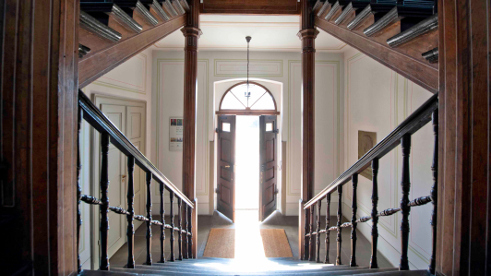 While the beletage is decorated throughout in the style of the 19 th century, the ground floor however represents the museum of the 21st century, providing interactive and multimedia-based facilities to occupy oneself with Mendelssohn and his oeuvre. 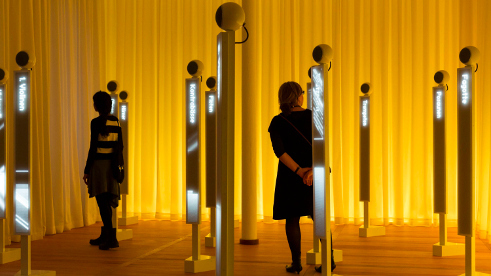 The visitor can browse the media centre and listen to Mendelssohn's music, watch films and look at pictures that document the history of the house; the Effectorium provides the opportunity to test one's abilities as a conductor and the moving showcase displays exhibits from different perspectives. 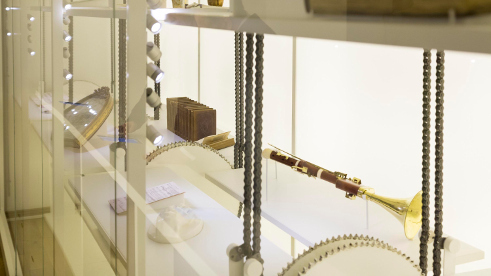 A third museum section, opened in November 2017, houses a permanent exhibition about Felix Mendelssohn Bartholdy's congenial sister Fanny Hensel. 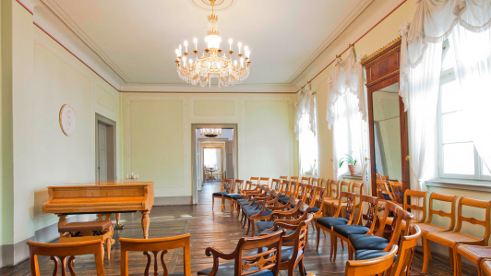 The association, which manages the House, has made it its task to save Mendelssohn's musical and theoretical legacy and to give it recognition once again: Chamber music concerts occur every Sunday at 11 a.m. in the museum’s music salon.